Gone are the days when the only way to get your hands on a high-end smartphone was to sign a multi-year agreement with a major carrier. Today, you can get top Android phones as well as the iPhone 5, not to mention the new BlackBerry Z10, all without a contract on prepaid plans. Prepaid plans provide the same access to carriers' voice and data networks, but without the contract (or steep penalties if you leave before your two years are up). You'll pay up front for the phone, but end up saving, if you stick with a phone for two years. Prepaid used to be viewed as the option for those with poor credit, but that's not the case anymore. Last year, Cricket was the first prepaid carrier to get the iPhone 5. Now you can also get the iPhone 5 from Straight Talk (offered by Walmart) and Solavei, which is a relative newcomer that uses T-Mobile's 4G network. That's much like Boost and Virgin Mobile use Sprint's network. Perhaps even more indicative of the way things are going is the fact that prepaid-carrier Cricket was announced as a carrier at the launch of one of the most highly anticipated phones of the year, the Samsung Galaxy S 4. 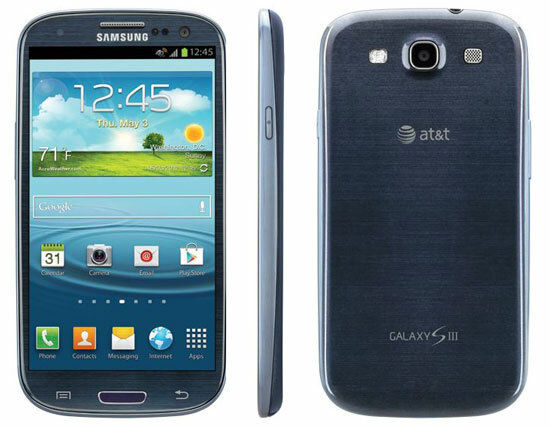 Even after the unveiling of the flagship 5-inch Samsung Galaxy S 4, the 4.8-inch Galaxy S III is an impressive phone. It has Samsung's bright, poppy Super AMOLED display, a fast 1.5GHZ dual core processor that easily handles games and apps, an excellent 8MP camera and access to the fastest 4G networks. Plus, there's NFC for tapping to pair the phone with accessories and eye tracking, which prevents the screen from timing out while reading books or web pages. 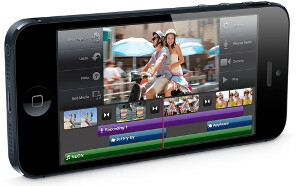 It's available on Cricket ($379.99), Solavei ($575), MetroPCS ($449.00) and T-Mobile ($599.99). The iPhone 5 is a shoo-in for our best prepaid smartphone list. It's got the best app store behind it and a huge ecosystem of compatible accessories and cases. Plus, it has a beautiful high-resolution 4-inch display, a great 8MP camera, speedy main and graphics processors and access to 4G networks (at least on Solavei). It's available from Cricket ($499.99), Straight Talk ($650), Solavei ($699) and T-Mobile starting April 12, 2013. 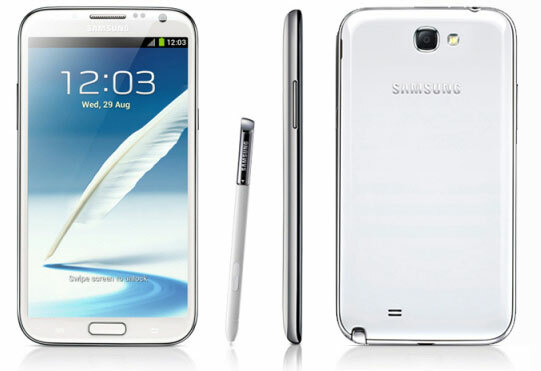 With its huge 5.5-inch display, the Samsung Galaxy Note II has one of largest screens on the market, making it almost feel more like a tablet than a phone. Yet, the Note II gets away with the bulk, thanks to its well-designed body and gorgeous Super AMOLED display. There's an incredibly useful stylus, the S-Pen, for taking notes; it has super-fast 1.6GHz Samsung Exynos quad-core processor and 2GB of RAM, which means it can handle video editing and high-end games with ease; and, like the Galaxy S III, the Note II has a very good 8MP camera. If big phones are your thing, this is it. It's available prepaid on T-Mobile for $729.99. You forget to mention that Metro Pcs is also one of the better prepaid phone companies around. They are in nearly every market area and have the LTE 4g network. Also they offer the Samsung III full specs phone as the top of the line available phone. Metro is also slated to be merging with T Mobile in the next few years which will increase their level of performance in the LTE 4g market. But they also offer a great lineup of 4g phones besides the flagship Samsung III. Best buy is the LG Motion 4g at $149 but with an instant $50 rebate and a mail in $50 rebate lowering the cost to a paltry $49. People should look into Cricket, Metro and companies besides the top 4. I’ve added MetroPCS. Thanks for catching that. Cricket also offers the ability to pay the phone’s purchase price out over time. As with all payment plans, it increases the price of the phone, but it allows almost anyone to get into a high-end phone for almost no up-front costs. I wanted to let people know that I am a rep.for a company that helps people save money by eliminating their bill thur referrals and shows them how to make money by teaching others to do the same.I am paying sales tax for a all you can talk, text, and data plan on Verizon network which our company does for 119.00 month. You are able to bring your own device to the Lightyear V, we also have a Lightyear S program. You can not beat FREE. We are on a mission to get people to earn checks from a product that they use everyday.Join the mission and help millions of people put money in their pockets. Excellent post of the best. Excellent post of the best. I don’t think I could really add to it. I suppose the S4 would be my choice if I had to pick one. The iPhone 5 is great, but I think newer technology is generally the best to choose. That said, I think it’s safe to say that any of the overall best selling smartphones are going to be available on no contract fairly soon after their release. It does make me wonder about the future of contracts to be honest.